The Alcatel-Lucent 1675 LambdaUnite Multiservice Switch offers your network a global platform that is designed to support both SONET standards as well as Synchronous Digital Hierarchy (SDH) standards. Its development was based on improvements Alcatel-Lucent was able to achieve with its 40Gbps time division multiplexing equipment. 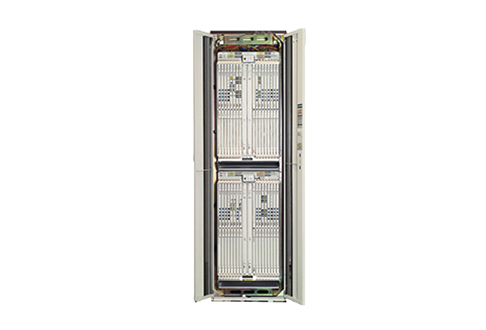 The Alcatel-Lucent 1675 represents a next-gen stage in its high-speed TDM equipment for 40Gbps and 10Gbps applications when working in high-density locations or in areas where you need to future-proof your platform. The platform run by the 1675 continues to receive updates and expand with future releases that are expected to cover a large boost in electrical synchronous interface support. The backbone that can be powered by a refurbished Alcatel-Lucent 1675 LambdaUnite can act as either an optical switch or a cross-connect as well as many secondary functions including multi-ring applications and ASON functions. Worldwide Supply stocks a significant range of Alcatel-Lucent 1675 LambdaUnite Multiservice Switch products designed to boost your network in cost-effective ways compared to most other market solutions. You get a wide range of available configurations as well as our comprehensive warranty on all equipment, robust testing and OEM-quality repairs, 24/7 customer service and leading auditing process to ensure that your equipment is always ready for network inclusion. Give your network the boost it needs with safety and reliability by pairing a high-quality, used Alcatel-Lucent 1675 LambdaUnite Multiservice Switch with the reliability of Worldwide Supply, a leading international telecom equipment provider with operations working all over the world.